CIPP Training Manual – Please Contact us or call 800-331-6653 for more information. Material Safety Data Sheets (SDS) for products sold by HammerHead Trenchless, including select Picote products, are available through our online database – links below. Please note that you must click ‘View PDF’ to left of a product listing to see the MSDS information. Access our video library that included product demonstrations, process overviews and instructional 'How-To' videos. Need help using HammerHeadShop.com? Check out our FAQ to find answers to common questions or contact us for further assistance. Have you been to our corporate website? Learn about the full line of trenchless solutions offered by HammerHead and access additional content. Download the HammerHead Mobile App for convenient calculations and cure times right from your mobile phone. HammerHead University offers comprehensive training services for CIPP installers and other trenchless practitioners. 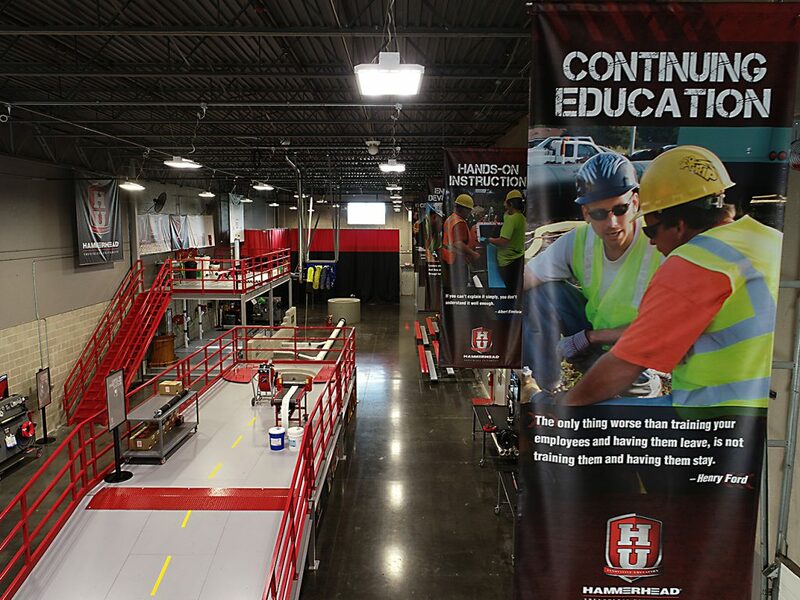 HammerHead provides expert-led, hands-on training at our world class training facility in Lake Mills, Wisconsin, and continues to provide on-the-job training in the field. Our training services are customized to meet the needs of you and your crew.